Black and white negative showing an unidentified housewares store in Whitby, Ontario. In this view large windows line the right side of the store. 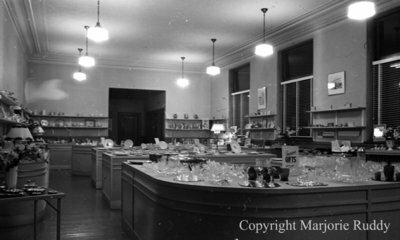 Unidentified Housewares Store, 1937, Marjorie Ruddy, A2013_040_883D.